Voss (Za 2712) is a low-population world with a population of less than 10,000 sophonts in size. Voss was once known as "Agamemnon". A small world with no surface water and a trace atmosphere. It is wholly owned by a large megacorporation. A handful of employees monitor the automated starport and make sure the robots carry out their assigned tasks. Voss is a low-population world with a population less than 10,000 sophonts in population size. Voss, as a member world of the Third Imperium has a member of the Imperial Nobility overseeing the world. 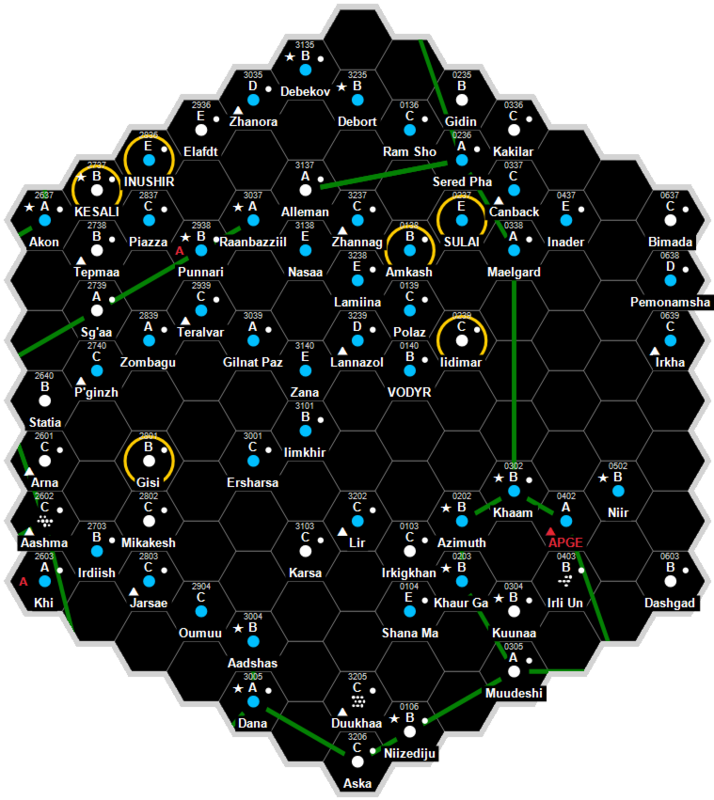 Non-canon: The Agamemnon system was originally colonized by a mission from the Rule of Man. The system showing surprising promise for the area particularly due to having three planets with an conditions suitable for human habitation with no terraforming necessary. Added to that the fact that the many moons gave up large quantities of minerals and you have the perfect self sufficient system. The planets of Alqonquin, Tradsia and Vradir were all colonized within 40 years of each other and the system became popular for colonists. As far as the surviving records show there was no military interest in the system and the Rule of Man had no bases within the system. This page was last modified on 11 April 2016, at 16:26.